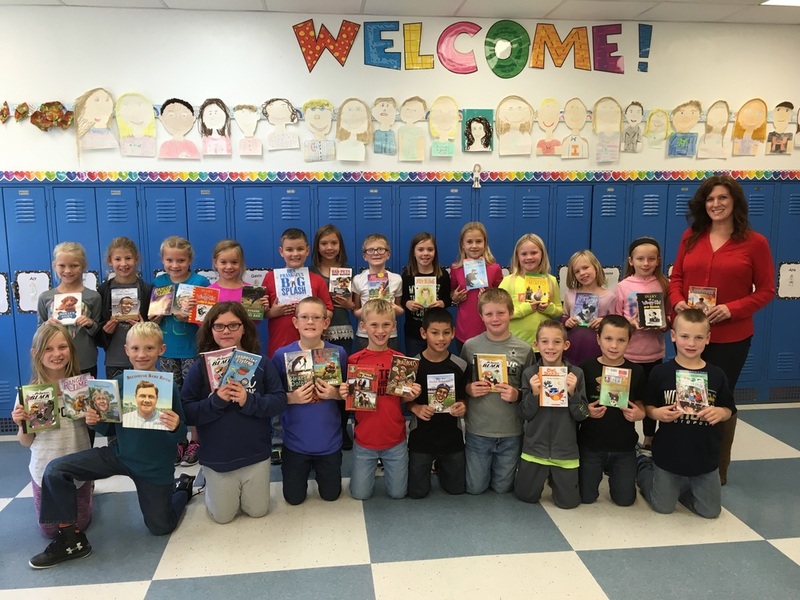 The Teutopolis Education Foundation purchased books from the Wild, Wild West Book Fair for the three homerooms who had the highest attendance at the TEF Spaghetti Supper. Mrs. Jessica Schackmann’s 4th grade homeroom finished in 3rd place. Mrs. Carla Jansen’s 2nd grade homeroom finished in 2nd place. The 1st place winner was... Mrs. Jodi Kinkelaar’s 3rd grade homeroom!! You can’t judge a book by it’s cover; but judging by the smiles on the children’s faces, we’d say they are all pretty excited about those books! Thank you to the Teutopolis Education Foundation for our new books!